Love The Chocolate Box Girls? 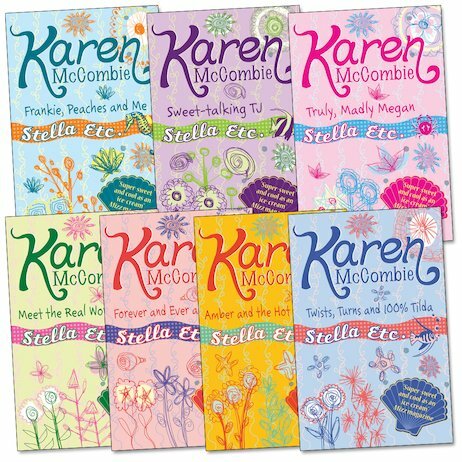 Then you’ll adore Stella Etc: the original series about a girl and her new life by the sea. Like the perfect beach holiday, it’s fresh, sunny and ice-cream sweet. What could be more scrumptious? Stella has just moved from buzzy London to the sleepy beach town of Portbay. She’s kissed goodbye to her best mate, Frankie, and the only guy she’s ever liked. Now it’s time to say hello to a whole new life. The beaches and wide skies of the seaside are a world away from the big city. All the same, Portbay has its own charms. Join Stella and come fall in love with them. I love this book because it has lots of book I have not read it before but it looks intresting!!:). it sounds bril i can wait to read theese books. i can always rely on karen mcombie for a really good read!! !